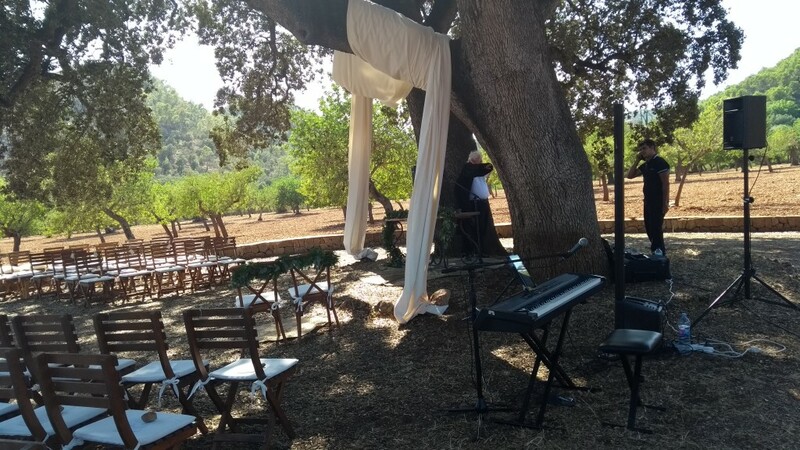 Lennart and Julia, a German couple, booked me to play piano and sing at their destination wedding in Son Tugores Finca Mallorca. 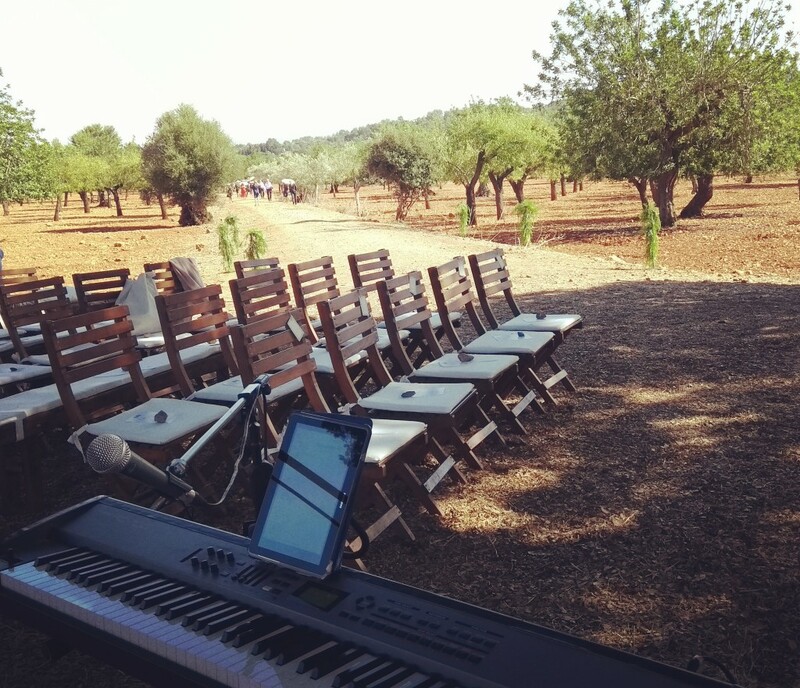 I was asked to play piano and sing in their wedding ceremony. They decided to use a big orchestral and choral piece of recorded music for the bride’s entrance under a big old tree. 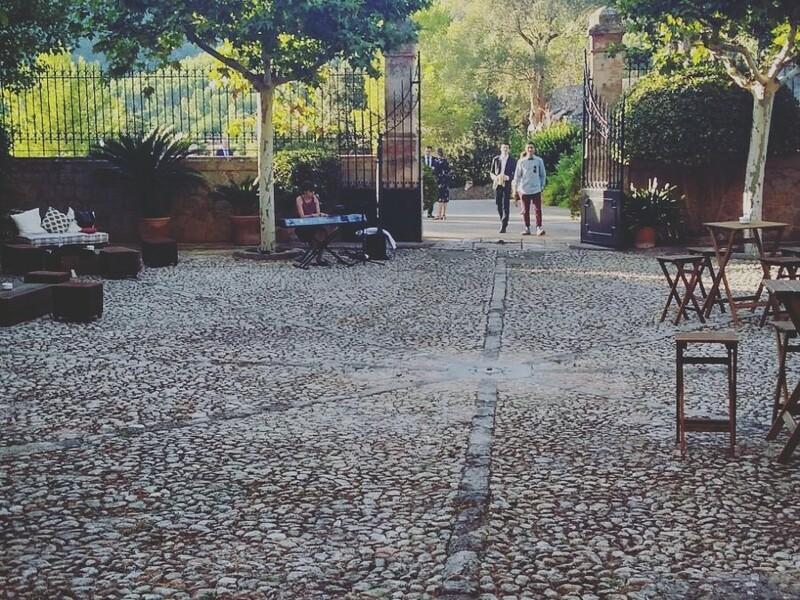 It was a very cool setting for a ceremony which I didn’t manage to capture on my phone but I’m sure the photographers did a nice job! Wedding ceremony pianist and singer: here come the wedding party! The songs they asked for were quite difficult for me and at one stage I did panic a bit but after lots of practice and deciding how to do them and make them my own I felt I cracked them and ended up really attached to them. I played until they went into the next set up for dinner as the sun began to set and the skies turned pink. Congratulations to Lennart and Julia and thanks for having me as part of your day and entrusting me with your most precious songs!